Conclusion: The majority of patients did not flare during pregnancy, but most flared within three months post-partum. The majority of pregnancy outcomes were favorable in this prospective RA registry at an academic medical center. Disclosure: S. K. Tedeschi, None; M. Frits, None; C. Iannaccone, None; M. Weinblatt, UCB, Bristol Meyers Squibb, Crescendo Biosciences, Amgen, 2,Bristol Meyers Squibb, Amgen, Crescendo Biosciences, 5; N. A. Shadick, UCB, Amgen, Bristol Meyers Squibb, Crescendo Biosciences, Mallinckrodt, 2,Bristol Meyers Squibb, 5; B. L. Bermas, UptoDate, 7. Tedeschi SK, Frits M, Iannaccone C, Weinblatt M, Shadick NA, Bermas BL. Rheumatoid Arthritis Flares and Pregnancy Outcomes Among Women in a Longitudinal Registry [abstract]. Arthritis Rheumatol. 2016; 68 (suppl 10). 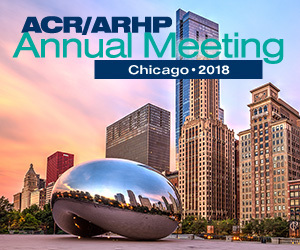 https://acrabstracts.org/abstract/rheumatoid-arthritis-flares-and-pregnancy-outcomes-among-women-in-a-longitudinal-registry/. Accessed April 18, 2019.